Mine would vary from: Talking GPS mod; I would love the game to have actual talking GPS mods, mainly because I would love not to have to look at a GPS an have it tell me when to turn and stuff like that Adaptive Cruise Control; I would love for scs to do ACC as I have seen many trucks use this in real life, it would also be useful for those pesky AI drivers who like to Randomly break check you. Auto Brakes (Trucks with it in real life; I would love this equipped with the Volvo's and Mercedes as they do have an emergency break in the trucks, this could be useful to where you can stop those accidents with the AI that you just didn't see. Sensors + Alarms: In a few of some truck videos, you do see that the trucks have alarms that sound if you are too close to something with the trailer, I would love this to be a feature that you can turn on and off at any time, this way you train and get better at taking wider swings in turns. What would you like to see added to the game or Modded into the game? 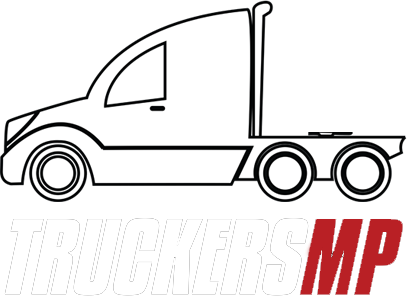 This idea Maybe a bit of a stretch, but what I would like to see is for them to take American truck simulator and euro truck simulator and combine both maps and both games trucks, trailers etc. Make it one big simulator! Do you have DLC Krone? I would recommend it, however, at the moment you can only use the reskins, for example, the Refrigerated trailer, There is supposed to be a box trailer, but you cannot own it for now as stated in the DLC's description, once all containers become available to own, I would recommend you get it! I think the speed limiter should depend on the trailer/player. For example, if the trailer says that you should only be going 80kph, then the truck should be limited to go at max 80kph. If the container does not have a speed limit applied to it, it should depend on the players level of skill. For example, if its a troll, the speed limiter should keep said troll at the speed limit, or just under it. For a player who is good at driving, the limit should be higher than the speed limit, or not on at all depending on the level of skill of the player. This way it would be more awarding not to crash, or troll people, as your truck will only get slower, but this is just my opinion! When I choose a trailer, I either would pick a Refrigerated one and make it look as personalised as possible, with black and green stripes, my signature look, or I get a flatbed trailer and colour it black, or green, I like both containers equally. I love the flatbed because you can see the cargo you are hauling. I love the Refrigerated trailer as you personalise it more! What is the funniest moment you've witnessed on Euro Truck Simulator 2? By far, my funniest moment was when I was making a special cargo Delivery, and an AI car phased into existence, they had a high-speed collision with the police car next to me, followed by the car no-clipping through the central barrier and driving down the opposite side of the motorway. We do have a logo ready, is there anywhere specific you would want me to add you, or would you prefer I send you a link from imgur or something like that? I don't do it myself because I can't, no artistic style at all, I can hardly draw stick figures, that's why I'm reaching out, hoping someone can assist, or do it for me. So, a few friends and I have started a Virtual Trucking Company, we are wanting a truck + owned Trailer Skin, to represent our company, but have no artists among us, so I am looking to commission someone to do a truck + trailer skin for a Mercedes-Bens New Actros Gigaspace with 8x4 chases + 6x4 Refrigerated Trailer + the double version I am willing to pay for these trailers! We have no creativity so I will want someone who can show us some ideas, our company name is LionFumes. Sorry if this is in the wrong section, I had no idea where to place this. Thanks! for replies, good job I didn't take one.